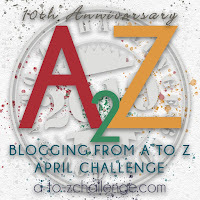 If you haven't yet heard of the Blogging A to Z Challenge, you're missing out. The idea is that bloggers, all different kinds of bloggers, sign up to write 26 posts in the month of April, one per day (excepting Sundays), one for each letter of the alphabet. It's not required that you have a theme, but having a theme is fun. Last year, I did evocative words. I know, I'm a word nerd (and I love it!). I read lots of others I really enjoyed, and made some blogging friends that I still visit online today. I'm extra excited about Blogging A to Z this year because April is book launch month for me! 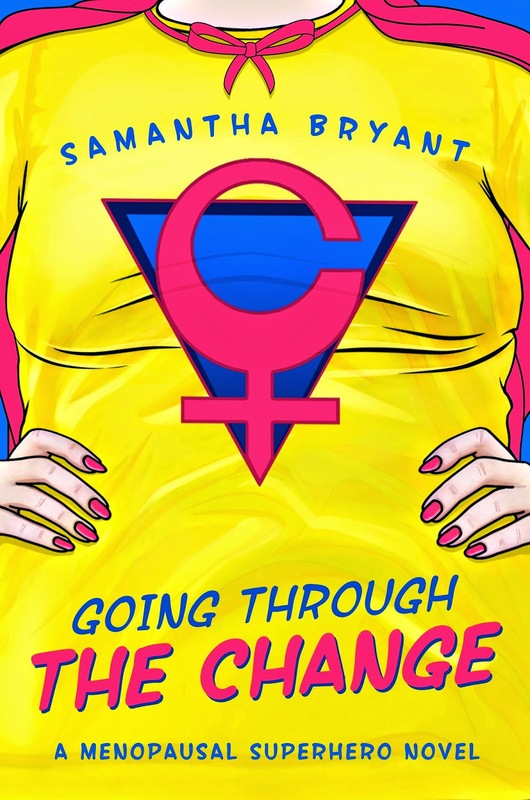 My debut novel, Going Through the Change: A Menopausal Superhero Novel, comes out on April 23. So, this year, all my postings are going to be about my book and my journey writing and publishing it. I hope you'll come by and read about it. You should also check out the other blogs participating. Bloggers bring creativity and passion to the posts they do during this time and you can find some great new writers to follow. In fact, here's the link to the list of other bloggers announcing their themes today. I hope you find something to spark your interest! Good luck with the book launch, I hope it goes swimmingly and I also hope the AtoZ goes well for you too. Very nice timing! But you're in for a lot of work, not to mention hot flashes. :-) Good luck. I am indeed, but it feels less like work when you want to do it :-) Thanks. What a great theme! I subscribed to your blog and I'm really looking forward to reading all of your posts! You sound hilarious!! Good luck on your book publication too! Thanks so much, Lonnie. I'll be sure to check you out in return! I have to laugh at Cheryl McKenzie's comment. Good luck with eveything. A to Z. just around the corner. Thanks, Stephen. I am really looking forward to it! That is one of the greatest book titles I've ever heard! I love it, and I love your theme too! Yay! I'm glad you like it. I felt proud of the title, and it came easily (titles often don't for me). Oh, the book launch, how exciting! Looking forward to your challenge posts. Thanks! Are you going to participate? cool too to have your theme for A/Z tie in with your book! Good luck with the challenge! Thanks! You might like it-one of the characters at least, Patricia, is definitely a reluctant hero. I love the title of your book! It sounds like you're going to have some fun posts during the challenge. Thanks so much! I hope you enjoy A to Z! It's a great blogging challenge. Thanks for popping by Narayana. I hope you enjoy A to Z!